Johanna Schwartz. UK, 2015. Original language (English, French, Tamashek, Songhoy, Bambara), Spanish subtitles. 100'. 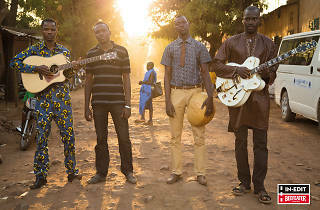 From the rise to power of Islamic extremists in Mali in 2012 – and the sharia law that followed – all the musicians were exiled. But not silenced. 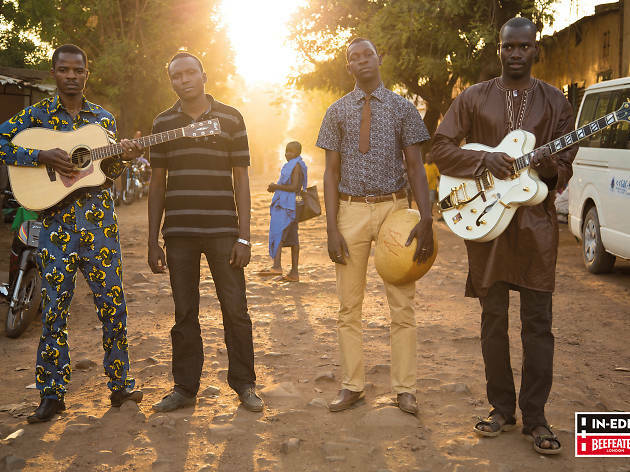 This is the story of Songhoy Blues, Disco & Jimmy, Moussa Sidi and Kharia Arbi, who carried on singing so they wouldn’t die. Their guitars are more powerful than Kalashnikovs.